While Los Angeles is bidding for the 2024 Olympic games, Washington, D.C., is making its own bid for games of a different kind. "Not only does it allow visibility of our community to a wider audience, but I think it opens up a greater self-awareness within our own community," said Brent Minor, the chair of the D.C. bid committee. "One of the great benefits is that it helps to break down the stereotypes of LGBTQ folks playing sports." If the District is selected for the games, venues around the area, including the Walter E. Washington Convention Center, the University of Maryland and the George Washington University, will host events. Gallaudet University is also a proposed venue, which Minor said helps emphasize the games' commitment to the deaf and hard of hearing community. Anyone can participate in the games, regardless of sexuality or gender identity. In fact, Minor said that about 15 percent of participants do not identify as being a part of the LGBTQ community. 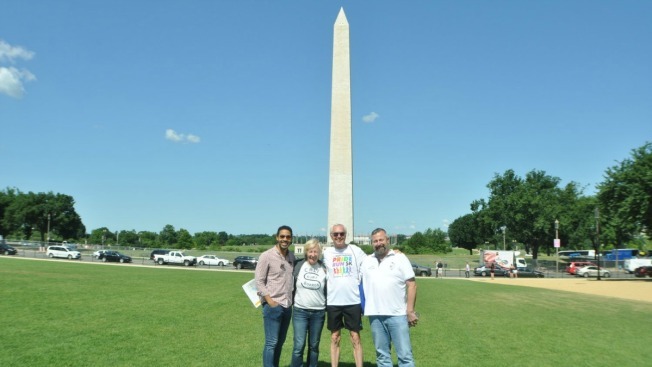 In recent weeks, the committee sponsoring the D.C. bid hosted several events for the Federation of Gay Games site inspection committee, including a rally at the National Museum of the American Indian and a gathering at D.C. Mayor Muriel Bowser's home. Bowser has been a supporter of the D.C. bid, stating in a letter in support of the bid that "when so many things in the world divide us, events like the Gay Games bring us together and give us the opportunity to celebrate our differences while recognizing our many similarities."